Although some themes do not offer support for adding a logo to your website, ours do. Usually it’s a choice of a text based site title and description, or you can use a logo image. 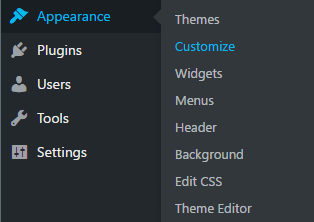 Depending on your theme, you may have the option to also show the site title and description with a logo; other themes not. For this, you will click on the “Select Logo” button. Click on the “Crop Image” or “Skip Cropping” button.